I was at my in-laws place last night and my father-in-law subscribes to the Harvard Business Review. Having a terribly short attention span, I didn't read even ONE of the articles inside - even though they're all probably terrific and useful. 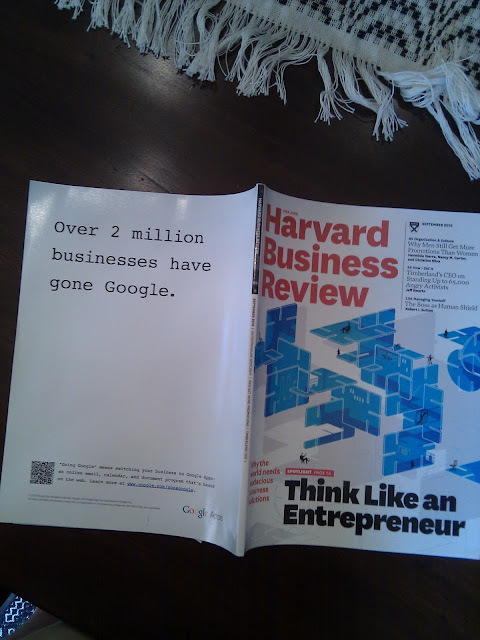 Instead, I was caught up by the back cover and the "Gone Google" ad.